Gwendolyn McNuckles volunteered to serve as a “Wellness Champion” out of concern for her health and that of her colleagues at Domtar’s personal care manufacturing facility in Waco, Texas. She remembers participating in “Step Into Spring,” a Domtar health challenge for employees, and how she and her colleagues lost dozens of pounds simply by walking more each day. Many of them continued their healthy habit and participated in subsequent walking challenges. 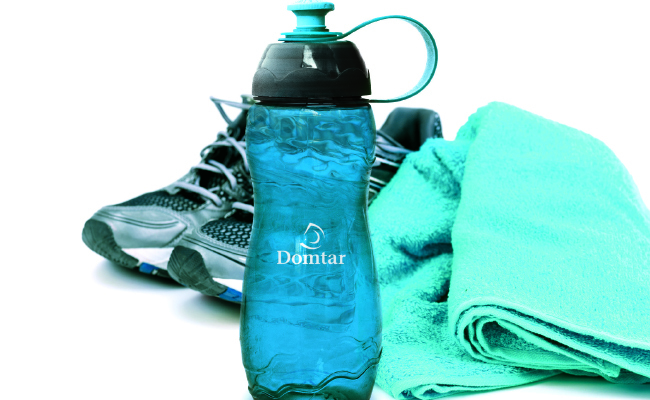 DOMTAR NOW OFFERS COMPREHENSIVE HEALTH AND WELLNESS SUPPORT, INCLUDING WEIGHT AND STRESS MANAGEMENT, HEALTH SCREENINGS AND COACHING, AS WELL AS DAILY EXERCISE TRACKING. Company wellness programs offer opportunities, but it is the caring of our employees who add a personal touch to these efforts that makes them effective. Gwendolyn and many of her co-workers went on to take advantage of Domtar’s Healthy Lifestyle Reimbursement program to join a local gym or pool, or to get personal fitness training. The company also benefits from a healthy workforce through higher productivity, fewer injuries, and lower healthcare costs, which also reduces employees’ individual premiums. Domtar’s 2017 Sustainability Report details the company’s endeavor to take a longer term view of creating and preserving value for our shareholders, customers, employees and communities. For more inspiring stories about Domtar's sustainability efforts, visit the Domtar Newsroom. To view the full 2017 Sustainability Report click here.